Russo's Coal Fired Italian Kitchen. 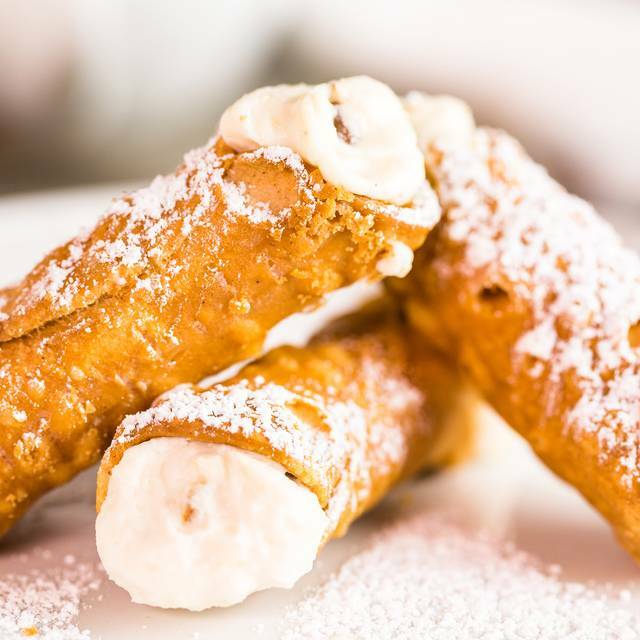 Originally based in Houston, were led by Chef Anthony Russo, a seasoned Italian chef whos family recipes comprise the foundatio of each of the menus. We serve authentic New York Pizza and fresh homemade pasta. We are passionate about bringing delicious food to communities across the world, Chef Anthony's motto is, "if it's not fresh, don't serve it." 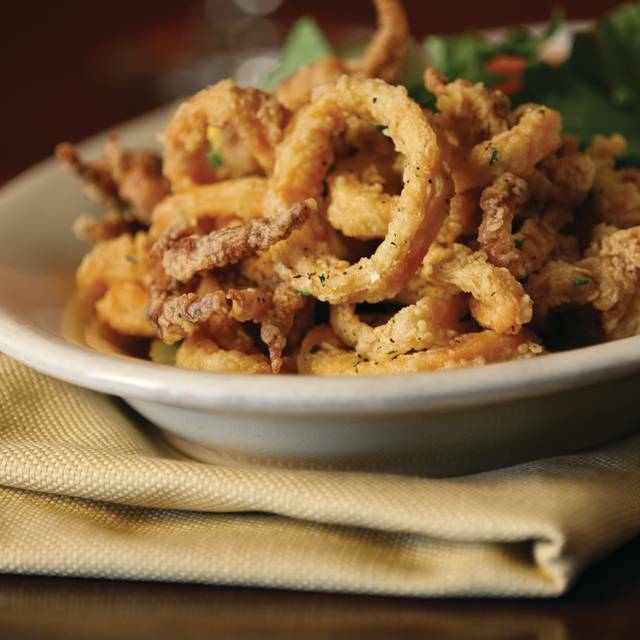 We have an impressive gluten-free menu including gluten-free psata dishes. We're active in our local communities and we support gluten-free and healthy causes. Come eat at our table! Very disappointed- service was ok but food was overpriced and bland. Appetizer portion was decent, but cold and flavorless. Gnocchi entree was skimpy on actual gnocchi, overloaded with globs of mozzarella and huge hunks of tomato. Liquor license hadn't been approved yet. Bread was good . Ordered Lasagna , I've had frozen lasagna that tastes better. Wife had Chicken Picatta , bland . Russo's makes olive garden look like a high end Italian restaurant. Excellent service. Food was delicious and abundant and served in a very timely manner. We eat at Russo’s almost every time we go to the nearby movie theater. Many made reservations through your site for one of the busiest nights, Valentine's day. Only for couples to show up and be told they would not honor the reservations because your site was not working for their location. Later a manager said he would seat a few of us within 5-6mins only 15mins later the hostess said he shouldn't have said that, the GM said no. We were told we would have to wait 45min-1hour, this is already after waiting 30mins. GM finally came out and said reservations wouldn't work for his location for a few weeks and they were understaffed. We eventually were sat but this was poor management and customer service. Systems fail, you cant help that. But people with email confirmations of a reservation should have been seated in order as tables opened ahead of walk ins. This would have at least shown the customer things happen but we will do our best to make it right. Many walked out angry that night and I doubt they'll return. Valentine's day is the same day every year, a restaurant should be better mamaged and staffed for such a night and be ready to implement processes for when things break down. And always making customer service their priority! I wish I had good things to share about this visit, but that’s just not the case. I had made a Valentine’s reservation a day in advance and was looking forward to a nice Italian dinner with my wife and our daughter. However, when we arrived I was surprised to see the number of people waiting for tables and I was advised they had a ‘door hold’ on to allow the kitchen to get caught up. When I mentioned my reservation, the hostess informed me, without checking anything, that unless I called them directly, my reservation was lost. Apparently for some time they’ve had an issue with reservations not making it through to them. It seems as though they have known about an issue for quite a while but have not resolved it. Our name was added to the list to wait on an open table. After waiting for about 20 minutes with no parties seated, we walked to Gloria’s and had a nice dinner. This experience, and my most recent prior experience (in that instance they closed down early because the prep guy didn’t show up in the morning and they ran out of food) have made me scratch Russo’s off my list. I had good experience there when they were new, but it seems management is failing of late. Russo’s Coal Fired Italian Kitchen does not take reservations via Open Table. Arrived at reservation time and was told it would be a 25 minutes wait; after 25 min. asked if it would be much longer and was told it would be another 45 min. We left without eating and will never go back and never use Open Table again. They can not be trusted. We made the reservation on open table and arrived 5 minutes before the appointed time. Upon our arrival there were numerous people waiting and we could see multiple tables open in the restaurant. We checked in and were told the manager did not want anyone seated because the kitchen was behind. Our reservation was cancelled but we were told we could wait for 45 minutes to an hour to try to be seated. Después de 15 minutos esperando a alguien quien nos reciba, me dicen que no respetan las reservaciones de Open Table y que debemos apuntarnos en la lista de espera.... ¡Pésima calidad, atención y ser vicio! The worst. Did not have our open table reservation, because “they were not on the internet.” And open table was wrong. Only got worse fro there. Not even worth waisting time writing a review. Service = nonexistent, food = cold microwaved. NEVER to return. This place was so good. Very friendly sand professional staff. They went out of their way to make you feel welcome. This was a restaurant we went to all the time. Something has changed and food is marginal and service needs work. Very stingy with bread at beginning of meal and brought my salad and dinner at the same time. Just disappointing after being so good before. Good food, vegetarian available, spacious, comfortable. Great prices for a vibrant party district. What a terrible and embarrassing experience. Incompetent Cooks, they don't have steak knives but sell a steak special, and zero customer service sense. The night was spoiled by a completely raw steak and incompetent management. My group of six made the best of the night but one of us did not eat and the manager tricked us and charged us for a steak special that had to be cooked twice and ended up being taken by the manager. The manager never gave his name but he is about six foot, athletic build, and sports a goatee. Russo's had no steak knives and so they gave my dad a Chef's knife. They tried to charge full price for a steak that didn't even have salt on it, was cool purple raw inside and, never ended up being eaten. When I asked to speak to the manager he said he couldn't discount more than 20% because we boxed it. We told him to take it back and he stormed off saying I'll take care of it. He then continued to walk passed our table taking care of other customers for 20 minutes before I found the server who originally took care of us. He said it looks like the manager just forgot to give us the receipt that stated the steak was comped. I even signed and tipped the waiter 10%. No other contact came from the manager as well left. Bank statements revealed that the receipt with the 20% discount was charged against us. What a disgusting way to serve customers, shame on your management and your business for hiring him. We've been to Russo's many times, and we always enjoyed the service and food. That is until recently (past 3 months). The service is slow, kitchen is getting food out before bread or drinks are served. The pasta carbonara was extremely salty, as if it had been sitting for over an hour, and was very dry. New Year’s Eve. They didn’t have our reservations after it was confirm. They didn’t have mixed drinks. They brought me the wrong wine. Order an appetizer and they didn’t have balsamic vinegar. Got up and left will never go again! Poor management of the resturant. Made reservation on line. They dont have access to on line to check the reservations. Placed order and asked for no onions on any of my meal, allergies. Got the salad and it had onions. Sent it back. Watched cook pick the onions off my salad without gloves and send it back out to me in front of the manager. Sent it back again to have waitress wait watch that he made fresh one. Asked to speak to manager. Waitress informed him. Waited 15mins to be asked bu waitress if he helped me. He had informed her that he already spoke to me which he did not. Took another 5 mins to come over and says he comp my salad!! Had I not seen the cook picking at my salad I could have had a reaction due to the cross contamination of onions. Would not return to this place. You might want to reconsider the managers at that resturant . Disappointed! First they didn't have a record of the reservation. We waited while they cleared a table. The hostess seemed unorganized. I ordered a salad and was very specific about not wanting any black olives, we waited a long time for a soup, my entree salad and a pasta. My husband's pizza came about 10 minutes before our food. Even though our server was nice, no one came and apologized, and offered us something like dessert for our inconvenience! In an area with 20 other restaurants, they should be concerned about customer service!! We loved our Caesar Salads, pasta was tasty, the wine was great, and the tiramisu hit the spot. Our waiter was friendly. We will be back. Service was excellent and food was amazing, consistently positive experience!